We are offering Carbon Steel Bellow for Carbon Black Plants. 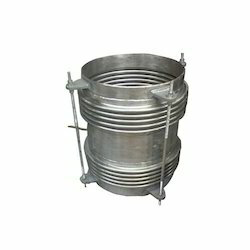 These bellows are manufactured using the high-grade raw material, which is procured from the authentic vendors of the market. Our firm is counted among the leading names, which is engaged in offering an unparalleled assembly of Steel Laminar Bellow. This range is manufactured using premium grade raw material such as mild steel & stainless steel and advanced machinery in strict compliance with the international quality norms and standards. Microtorr makes all types of hydro-formed bellows with any type of end flanges like CF, KF, LF ETC of specified lengths. the bellows are made from SS 316L/ SS316 /304/ 321 material. Backed by the team of adroit professionals, we are presenting a quality checked collection of Steel Bellows. 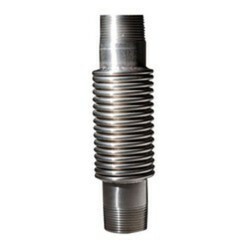 In addition, provided steel bellows are appropriate to satisfy the needs and requirements of diverse industries and are known for its strong construction. Owing to the vast manufacturing facility and a competent team of personnel, we are able to offer an unparalleled range of Bellows. The offered range is available in different customized specifications and forms in accordance with the diverse requirements of esteemed clients.